Watagan Park really is in the heart of Nature’s Playground. There are so many activities to do that enable you and your family to explore the natural surroundings and to discover the hidden gems Mother Nature has left behind. Brett Wise has been living in the area since he was 4 and now owns a number of water sports businesses. We thought we’d pick his brain for a few local secrets and find out what he loves about the outdoors. WP: How long have you been living in the area? BW: I have lived in this area for over 37 years, and moved here when I was just 4 years of age, I grew up spending almost everyday on Lake Macquarie, either Paddling, Skiing, Fishing, Sailing or Swimming. WP: What do you love about the outdoors? I just love being out in the elements. I grew up doing a lot of different water sports and I always try new sports as they come along. I have always been into most water sports as well as Mountain Biking and Camping. I love being so close to one of the natural wonderlands with Lake Macquarie, the Watagan Mountains and some of the best beaches in Australia, why would you want to live anywhere else. WP: What made you get into the outdoor activity industry? BW: It was a natural progression to want to end up owning a Water Sports Business for the Lake and all it has to offer. Growing up in the area I could see a need to cater for locals and a lot more tourist visiting the area. I wanted them to be able to get out and see the Lake and surrounds the way I have always been lucky enough to do so. That is why I started my Hire and Retail Water and Outdoor Action sports Business over 10 years ago. 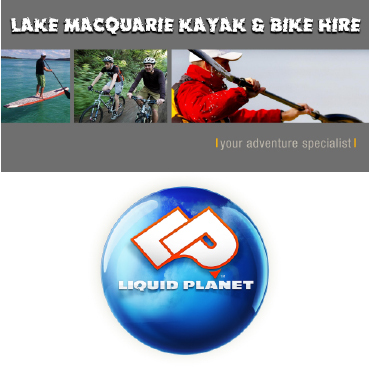 Lake Macquarie Kayak & Bike Hire is now a very well respected Hire company for Kayaks, Stand Up Paddle and Mountain Bikes. Our Retail arm which is Liquid Planet has all you need to get into any of those sports. WP: What kind of equipment do you sell and hire and what is the most popular? BW: Liquid Planet is a one stop Shop for almost every Water sport, Action Sport and Bike Sport. If we don’t do it ourselves we don’t sell it. By far the most popular water sports at the moment and coming seasons are Stand Up Paddle and Kayaking, and our hire company has both for you to come and try. The Lake is the perfect playground to try out Stand Up Paddle Boarding, as there is a lot to see and do. 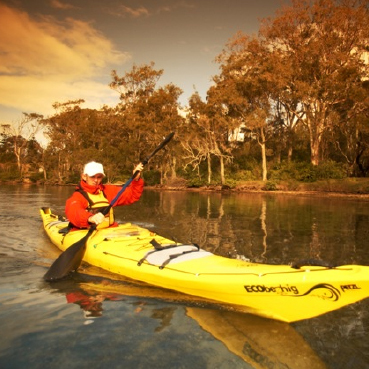 Kayaking is a great way to explore that hidden creeks and coves you might not have known even existed on Lake Macquarie until you hit the water. WP: Lake Macquarie is Australia’s largest saltwater lake. Can you share some of the secret spots that are great to paddle to in a kayak? BW: Yes there are so many different areas to paddle from and to explore. You can go from Sunshine Park and paddle across to Pulbah Island, pull up and have a swim or picnic on one of the sanding beach points. 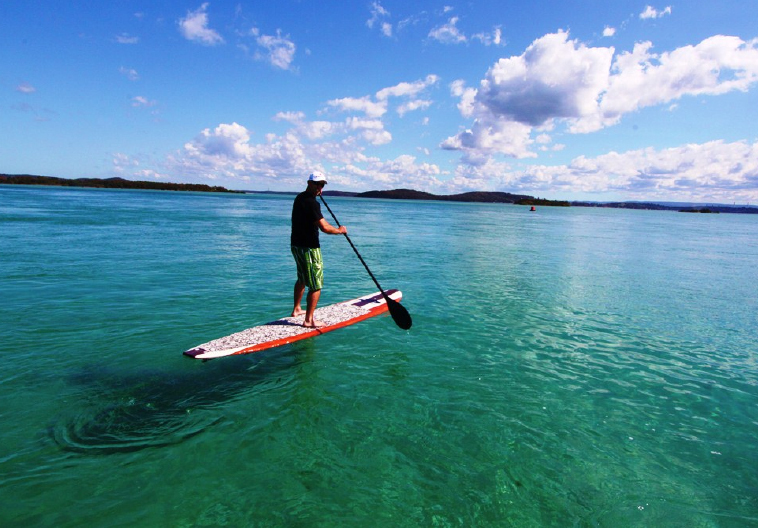 Another great paddle is from Wangi Point across to the sand Island of Swansea Channel. The water is crystal clear and great spot to stop over and snorkel. The paddle up Dora Creek is another great area to explore if you want to see more bird life and it is always so quiet up there. Kayaking or Stand Up Paddle can be done on any parts of Lake Macquarie and there are so many beautiful little picnic spots to just pull up and relax while looking at the water. You can also fish out of kayaks and the Lake is teeming with all sorts of fish species. WP: Can people of any age enjoy the lake or do you need to be an adrenalin junky? BW: You can be any age to get out and enjoy the water as Paddle Sports are very low impact sports. You don’t need any high level of fitness. All you need is some time to be able to try it, sit back and enjoy what the Lake has to offer. They are also great sports to enjoy as a family and they help you stay healthy and active.